Recently refurbished business centre in the heart of Preston provides flexible spaces from one-person offices to larger spaces. The main shopping street is within 100m and London can be reached by train in 2 hours and 15 minutes. This centre is set in Preston City Centre, close to shops and other amenities. This is a former iron mill, recently converted into a multi-functional business centre. A range of business support services is available to meet your needs. Preston has many shops, cafes, bars and restaurants, including Pizza Express, Turtle Bay and Starbucks Coffee. The Railway Station links the city with London, Birmingham and Manchester. With a choice of a whole floor (250m²) or small incubator office space ideal for up to four people, this impressive and award winning business centre is within walking distance of Preston Train Station. This building offers high-quality office suites, located in the centre of Preston. There are two office suites available, both finished to a high standard. The office suites available range in size from 760 Sq Ft to 1,700 Sq Ft. The property has many great facilities, including; kitchen facilities on each floor, a six person passenger lift, meeting rooms and male and female toilet facilities. 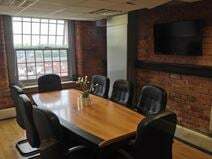 The office space is located a short eight minute walk from the train station. 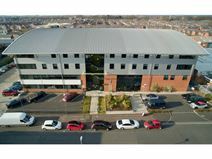 Located in the Docklands area of Preston, this business centre is new to the market and provides a range of five different sized serviced offices varying from one to 12 workstations. The city centre is approximately two miles away, and the railway station provides a direct link to London Euston. Various places to eat and drink are across the city, and there are also a number of hotels to suit different requirements. This charming centre offers a great suburban location just outside of Preston, plenty of amenities to take advantage of, and an all inclusive rate. Office units are self-contained, allowing you to build an independent spirit to your company, and the centre comes with communal kitchen and toilet facilities. The centre is just a 10-minute drive from Preston city centre and just four-miles north of Junction 1 of the M55, allowing direct access to Blackpool. 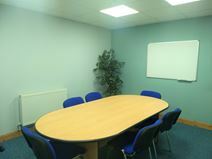 This work centre offers two fantastic high quality office suites, the ideal solution for stat-up and small businesses. The office suites are 682 Sq Ft and 1,360 Sq Ft and have many great amenities. There is plenty of on-site car parking, carpeted throughout and LED lighting. The town centre location provides tenants with plenty of shops, restaurants and cafes. The work centre is located in close proximity to fantastic transport links. Recently refurbished to a high standard and decorated with great attention to details, this impressive building offers office spaces equipped with meeting rooms, IT and telecommunication systems, high-speed internet connection and parking facilities, all included in the rent price. The building is surrounded by restaurants, cafes, shops and a variety of amenities. 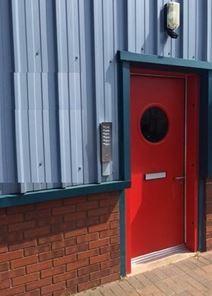 Located on Lodge Street, just a short drive from the city centre and train station, this centre was established in 2007 and offers office space for from 1 to 5 persons in a comfortable and professional business environment. These spaces are available immediately on flexible terms. This centre in the heart of Preston offers ground floor light industrial units, and office units, all in a range of sizes. Close to the Fishergate and St Georges shopping centres and a very short walk to Preston station, with services across the country including Liverpool, Manchester, Glasgow, Edinburgh, Birmingham and London Euston. Located just off the A59, with a direct link to the M6 and the extensive motorway network of the North West. Well suited for small to medium businesses this business centre provides a mix of luxury office suites in a range of sizes. There are also fully equipped boardrooms which hold a maximum of 10 people, fully equipped kitchens and breakout facilities. All on a busy retail park, one-minute from the M6. A short walk from Preston Train Station, with direct services to London and Birmingham, on the edge of the city centre, this business centre offers a choice of private offices and studios that can be furnished to suit individual requirements. A private meeting room is available that is suitable for up to six people while each office has its own private and secure access. There is on-site parking available, ideal for those commuting by car. 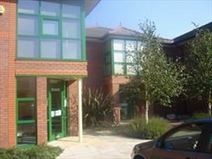 This business centre, in an office village environment close to Preston town centre, offers fully serviced, air-conditioned offices on flexible leasing terms. There is a staffed reception, meeting rooms, kitchen areas, and on-site parking. Located just off the A59, linking to the M6, with easy access to Liverpool, Manchester and beyond. Destinations from Preston station include London, Birmingham and Glasgow. This new centre, opening in the Summer of 2018, bring a dynamic multi-occupancy building that engulfs its tenants in its creative atmosphere. With kitchen and shower facilities, a cafe space, and a great social environment it is perfect for both startups and established businesses. It is also only a mile from Preston railway station, which offers good transport links including direct services to London Euston and Birmingham New Street. Situated in Prestons CBD and enjoying a highly sought-after location, this business centre occupies a classic and elegant building and provides excellent all-inclusive facilities. It is within walking distance of lifestyle amenities and major transport links. Part of the popular Winckley Square area of Preston, this centre offers self-contain units. Every floor comes with its own facilities - kitchen and restroom - and is securely monitored by CCTV. The centre also has a lift reaching all floors, onsite parking which is a rarity in a central city location, and is close to many Preston attractions. Preston rail station is just a six minute walk, and offers direct services to London, Birmingham and Manchester.